Continuous technological research has allowed Italgreen to develop synthetic turf systems for field hockey, thanks to which the company became partner and official supplier of the Italian Hockey Federation, and a partner of the most important international federations. Field hockey likely has very ancient origins - as old as the Persians. Today, field hockey gains more fans every year thanks to the evolution developed in the field of hockey turf. This sports surface, the favourite of field hockey players, has allowed the sport to grow steadily over the years. The reason behind it is that Italgreen's synthetic hockey turf systems are perfectly flat, allowing the ball to roll perfectly and offering a level of fluidity to the game that would be impossible otherwise. synthetic hockey turf solutions for field hockey are available in two types, according to the infill contained in the system. Hockey turf with Sandbase technology. The synthetic hockey turf mantle is closely packed with sand until the tufted surface is almost completely covered. The upper part of the synthetic turf threads remains free. The resulting visual effect is as similar as possible to a natural grass field. Ultra-high-tech solutions, such as Italgreen's System Waterbase (the ball rolls on a super thin water layer on the synthetic turf), guarantees a high-performing play that is appreciated by professionals in this sector: their feedback and opinions continue to improve and modernise our synthetic turf systems, to achieve results that would cause envy on even the best of traditional paving systems. 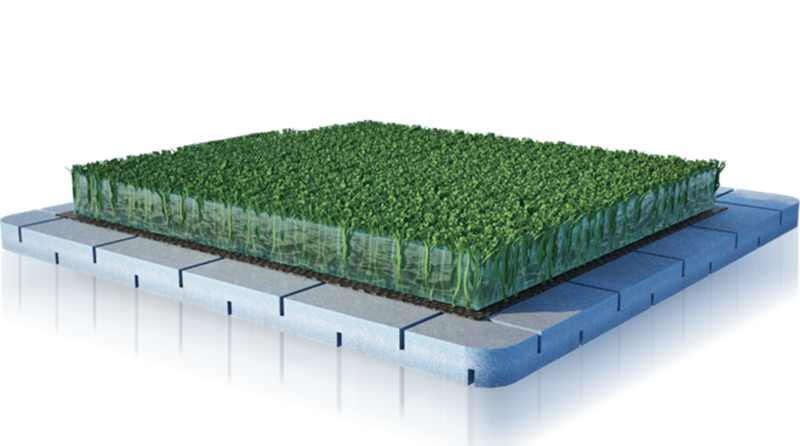 Italgreen offers synthetic grass solutions for hockey pitches, both with Sand-dressed and Water-based technology.